David Thornton is a married man. He is married to Grammy Award-winning singer and songwriter Cyndi Lauper. The pair married on 24 November 1991. They have a son together: Declyn Wallace Thornton Lauper. Their marriage is going strong as there is no news regarding any extramarital affairs at present. 1 Who is David Thornton? 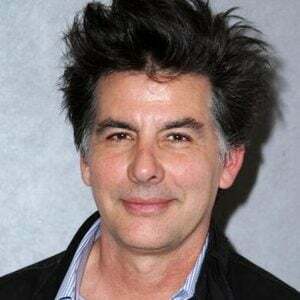 David Thornton is an American actor. People mostly know him for his roles in movies and television series including ‘John Q’, ‘Home Alone 3’, ‘Law & Order’, and ‘The Notebook’ among others. Thornton was born in Cheraw, South Carolina on June 12, 1953. He is the son of American author, Robert Donald Thornton. David developed a keen interest in acting as a child. He is of American nationality. Furthermore, there are no details available about his ethnic background at present. Talking about his education, Thornton attended Hamilton College and Yale Drama School. Additionally, he also studied at Lee Strasberg’s Actors’ Studio. Thornton initially had a minor role in the TV movie ‘Sessions’ in 1983. In 1985, he appeared as Lile in the TV series ‘Miami Vice.’ Following years, David had roles in movies and television series including ‘Tales from the Darkside’, ‘Crime Story’, ‘Diamond Run’, and ‘American Playhouse. Since then, he has appeared in several other movies and television series. At present, he has more than 60 credits as an actor. Some other movies and television series that Thornton has appeared in are ‘Homeland’, ‘Love Kills’, ‘A Date for Mad Mary’, ‘Elementary’, ‘Semana Santa’, ‘The Other Woman’, ‘Jeremy Fink and the Meaning of Life’, ‘Trophy Kids’, ‘Dirty Movie’, ‘Law & Order: Special Victims Unit’, ‘My Sister’s Keeper’, ‘Here and There’, ‘Alpha Dog’, ‘The Naked Brothers Band: The Movie’, ‘Romance & Cigarettes’, ‘Life on the Ledge’, ‘Private Property’, ‘Prologue’, ‘100 Mile Rule’, ‘Swept Away’, ‘John Q’, ‘The Girl Under the Waves’, ‘The $treet’, ‘A Civil Action’, ‘The Last Days of Disco’, ‘Too Tired to Die’, ‘The Real Blonde’, ‘She’s So Lovely’, ‘Breathing Room’, ‘New York News’, ‘New York Undercover’, and ‘The Cosby Mysteries’ among others. Thornton won the Best of the Fest in Breckenridge Festival of Film in 2011. Additionally, he was also the winner of Jury Award in Ft. Lauderdale International Film Festival. Thornton has not revealed his current salary. However, he has an estimated net worth of around $ 8 million at present. Thornton has not been part of any notable controversies in her career. Furthermore, at present, there are no rumors concerning his life and career. Talking about his body measurement, Thornton has a height of 6 feet 4 inches (1.93 m). Additionally, his hair color and eye color is dark brown. Thornton is not active on the social media. He does not have his official Twitter account. Additionally, he is not active on Facebook and Instagram as well. Also know more about the early life, career, net worth, relationships, and controversies of other actors including Billy Howle, Paul Whitehouse, Tom Mison, W. Morgan Sheppard, and Hugh Dancy.